Andrews & Pontius, LLC in Ashtabula, Ohio The general practice law firm of Andrews & Pontius in Ashtabula, Ohio is dedicated to meeting the business and personal legal needs of the Northeast Ohio communities we serve, including: -Ashtabula County -Geauga County -Lake County -Cuyahoga County -Mahoning County -Trumbull County As the most prominent law firm in this area, we are proud of the reputation we have built by providing skillful, experienced, and personal legal representation to each of our clients. We are devoted to the valuesfamily, friends, businesses you know and trust, a safe and clean environment for ourselves and our familiesthat are cherished here in our community. Like you, we have been living, working, and raising our own families in Northeast Ohio for many years. We understand that each client's casewhether it involves injury or death to a loved one, medical malpractice or nursing home abuse, or a domestic matter, a business issue, or a criminal eventis unique. And we believe that whatever your situation, you deserve caring, convenient, personal, and confidential legal counsel. Comprehensive experience and skill All of our attorneys focus on specific practice areas where they have the most knowledge and experience, including -Auto accidents -Business law -Business litigation -Child custody -Corporate law -Criminal law -DUI -Estates -Family law -Juvenile law -Medical malpractice -Nursing home abuse -Personal injuries -Probate -Traffic violations -Trusts -Wills -Wrongful death Each attorney's practice complements those of the others. In this way, our firm is able to provide comprehensive legal assistance spanning the range of our clients' needs. It also means that we rarely, if ever, have to refer our clients out of the area for additional counsel. 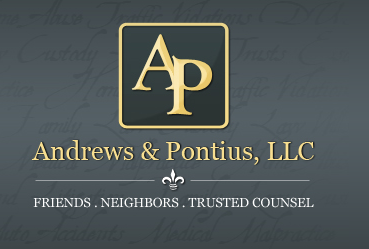 Experienced and personal legal services throughout Northeast Ohio For skillful and personalized assistance on a wide range of legal matters in Northeast Ohio, call the lawyers of Andrews & Pontius, LLC at 440-998-6835 or contact us online. When you are injured in Northeast Ohio At Andrews & Pontius, LLC in Ashtabula, we stand ready to champion your cause when you have been injured by the recklessness, negligence, or intentional misconduct of another person or business. 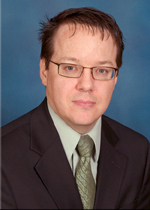 Our attorney David E. Pontius is a member of the Ohio Academy of Trial Lawyers and the American Association for Justice (formerly the Association of Trial Lawyers of America), with long experience in litigation of personal injury claims and deep knowledge of Ohio personal injury law. We fight for you to obtain the best compensation available under the terms of that law. Do you have a case? There are many types of personal injury cases that may be actionablemeaning that you may be able to recover damages from the person or organization at fault. Personal injury claims resulting from motor vehicle accidents are the ones that we see most frequently, but we handle all types of physical and psychological injury cases: -Auto accidents -Motorcycle and bicycle accidents -Slip and fall -Animal bites -Workplace injury -Toxic tort -Construction site injuries -Trespass -Wrongful death -Premises liability -Products liability -Truck accidents -Railroad accidents -Nursing home abuse -Property damage -Sexual harassment -Infliction of emotional distress -Slander In order to collect on a personal injury claim in Ohio, you must prove negligencefailure to exercise ordinary care. For example, a store owner who realizes something slippery has spilled on the floor but fails to clean up the mess within a reasonable time would be negligent. So would a driver operating a vehicle recklessly, resulting in your injury. What is your claim worth? Under Ohio law, the person or company who injured you may be held responsible for many kinds of expenses and loss associated with your injuries, including Medical expenses Lost work time Property damage Pain and suffering Household services Loss of future earnings Permanent disability Disfigurement Emotional distress Anxiety Depression Damage to family relationships Our lawyers can help you identify your options and hire the best type of expert witnesses to prove your damages. Experienced and personal legal services throughout Northeast Ohio For skillful and personalized representation of your interests when you are injured in Ashtabula, Lake, Trumbull, Geauga, Mahoning, and Cuyahoga counties, call the lawyers of Andrews & Pontius, LLC at 440-998-6835 or contact us online.